Washington Post Talks About Dungeons & Dragons http://www.enworld.org/forum/content.php?6224-The-Washington-Post-Weighs-In-On-D-D! News Digest (Kickstarter Games Category Crosses $1 Billion Raised) http://www.enworld.org/forum/content.php?6225-News-Digest-1-Billion-Raised-for-Games-Via-Kickstarter-New-DM-Screen-Announced-a-Brand-New-Drizzt-Novel-Coming-This-Fall-and-more! This week, Morrus and Peter take a look at the second part of the original Saltmarsh adventures, U2 Danger at Dunwater, in preparation for the release of Dungeons & Dragons Ghosts of Saltmarsh. In the news, we have a new deck of monster cards for D&D, new Acquisitions Inc. art, #DnDSelfie, Shadowrun 30th Anniversary products, new Star Trek Adventures products, and a LOT more plus Our Favorite Game in All the World, and a brand-new user-submitted sketch! News Digest (Shadowrun anniversary products, Star Trek Adventures minis and adventure) http://www.enworld.org/forum/content.php?6205-News-Digest-Shadowrun-30th-Anniversary-Products-New-Star-Trek-Adventures-Products-DnDSelfie-New-Lord-of-the-Rings-Game-and-more! This week, Morrus and Peter tickle their funny bone with the best tabletop RPG April Fools pranks of 2019 and go over several humorous roleplaying games available to keep the laughs coming. In the news, Call of Cthulhu sourcebook destroyed by Chinese censors, Wizards of the Coast looking for a new Community Manager for Dungeons & Dragons, Gamer’s Tavern (run by Your Editor Darryl) released a new video on the history of Dragonlance, Pathfinder 2nd Edition headed to the printers, a preview of the Acquisitions Inc. D&D sourcebook, and more! Plus Patreon Asked Questions, Our Favorite Game in All the World, and a brand new sketch! EN World News Digest (Talisman RPG, free adventure for Genesys/Shadow of the Beanstalk) http://www.enworld.org/forum/content.php?6168-News-Digest-Acquisitions-Inc-Preview-Call-of-Cthulhu-Censored-New-Pathfinder-and-D-D-Minis-and-more! 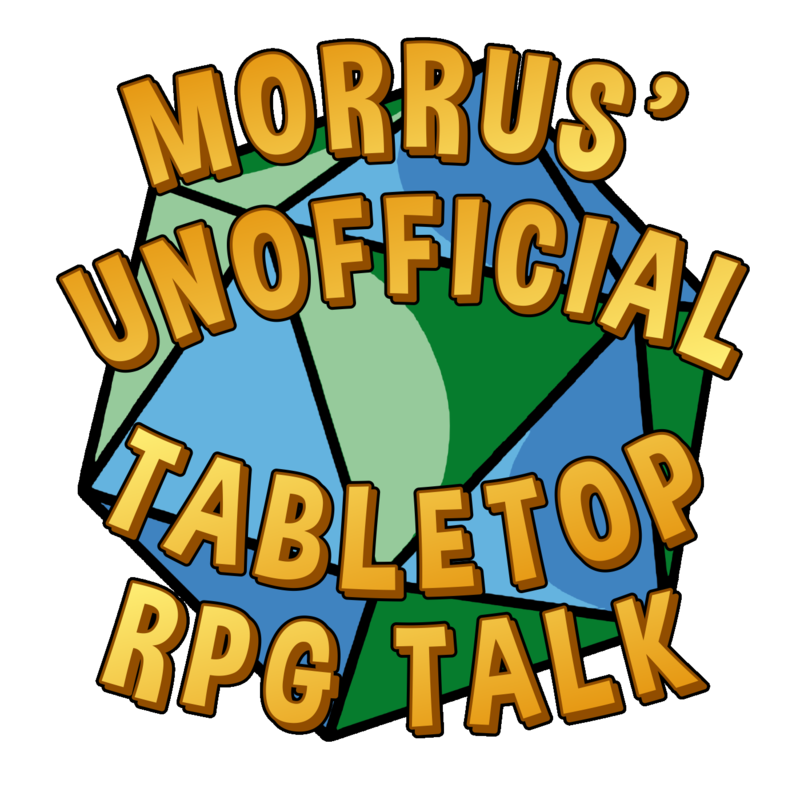 This week, Morrus and Peter talk about RPG Crimes, the pet peeves, annoyances, and problems that arise at game tables that drive us all up the wall. In the news, Pathfinder co-creator now Dungeons & Dragons editor, the D&D movie has a new script, changes to the ENnie Awards, a chance to win a trip to PaizoCon, and more! Plus Our Favorite Game in All the World, we answer your Patreon Asked Questions, and a brand new sketch! News Digest (D&D Movie News, Robin’s Laws of Good Gamemastering Reprint) http://www.enworld.org/forum/content.php?6152-News-Digest-D-D-Movie-News-a-New-Editor-for-D-D-More-Eberron-from-Keith-Baker-Robin-s-Laws-of-Good-Gamemastering-Reprint-and-more!